Natural spruce oil stimulates the body and protects against winter infections. 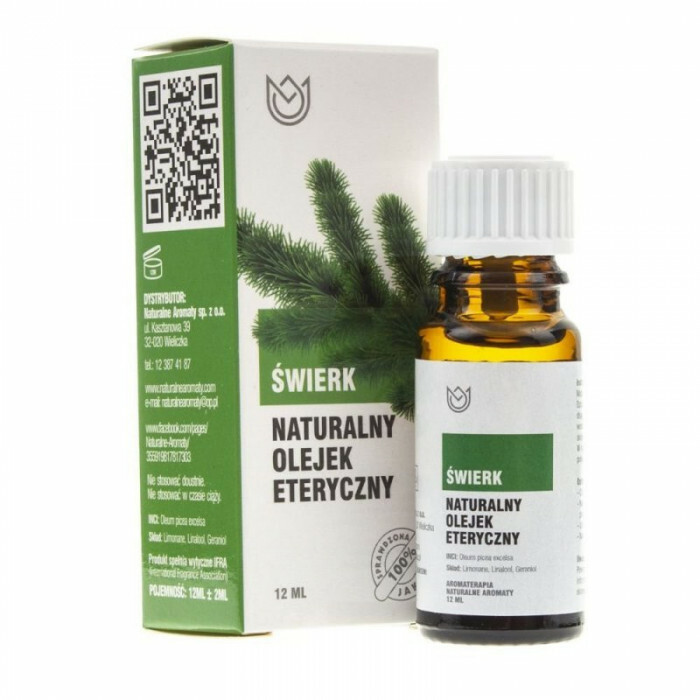 The oil supports in convalescence, viral infection, strengthens the body in the fight against cough, fights with the problems of psoriasis and ringworm. Spruce oil also contributes to the excretion of mucus from the trachea and bronchi, releasing and relieving the respiratory tract. Stimulates immunity, relaxes. When used through inhalation, it reduces congestion.